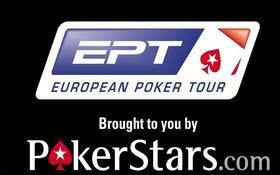 There will be two very recognizable names sitting at the final table of the PoekrStars.net EPT Tallinn Main Event on Sunday, as a pair of Fins, tournament pro Jani Sointula and online mega-star Sami “LarsLuzak” Kelopuro, have both weaved their way into the final 8 of the tournament. However, both players will have a bit of a hill to climb in order to chase down the chip-leaders, Ronny Kaiser and Grzegorz Cichocki, both of whom have crossed the 2 million chip threshold –of the remaining players only Kelopuro managed to amass over 1 million chips. Kelopuro is coming off an excellent 2011 WSOP, where the young Fin nearly won a bracelet in the $10k PLO Championship, finishing second to WSOP Player of the Year front-runner and November Niner Ben Lamb, which he followed up with a very deep run in the WSOP Main Event before bowing out in 111th place. Sointula is a more seasoned tournament player, and has been quietly establishing himself as one of the top tournament talents in the world over the past five years or so. This entry was posted on Sunday, August 7th, 2011 at 7:07 am and is filed under Poker News. You can follow any responses to this entry through the RSS 2.0 feed. You can leave a response, or trackback from your own site.